It's been a couple of weeks now I've been reporting on the CSF (Community Supported Fishing, Best Catch Seattle ). 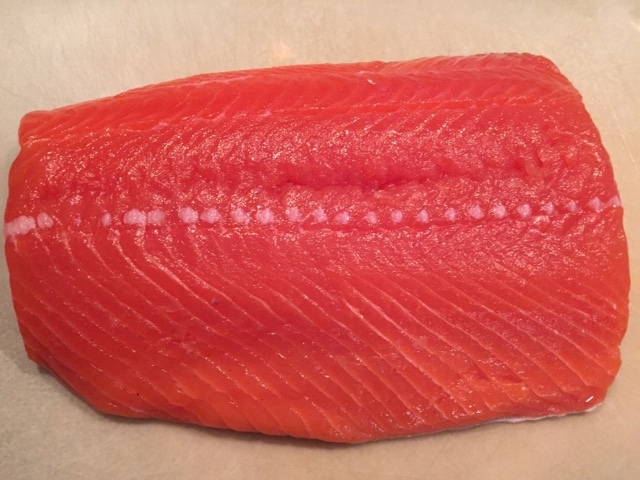 This week our share is a pound portion of Washington caught King Salmon. 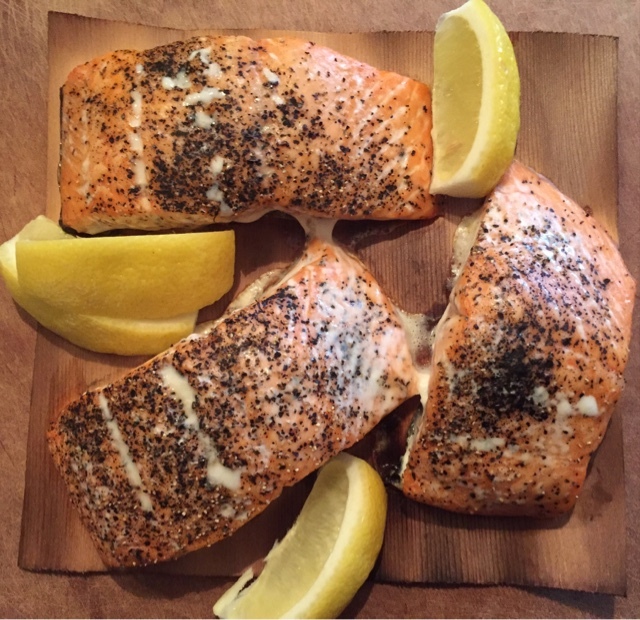 Any time I get fresh fish, I prefer to season and cook the fish and let the true flavor come through. 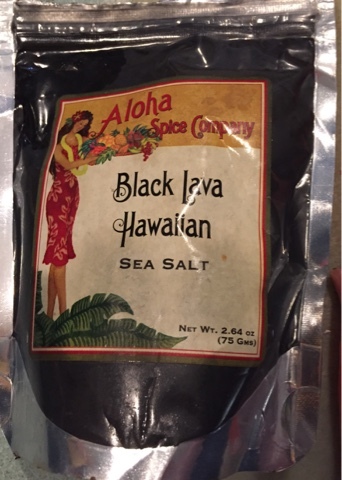 Last night I seasoned the fish with fresh cracked black pepper and a sprinkle of some lava salt our neighbors brought us back from Hawaii and few years ago. We receive an email either the day before, or the morning of our scheduled pick up. This give me enough time to plan out dinner, although I do have an arsenal of ideas for side dishes. 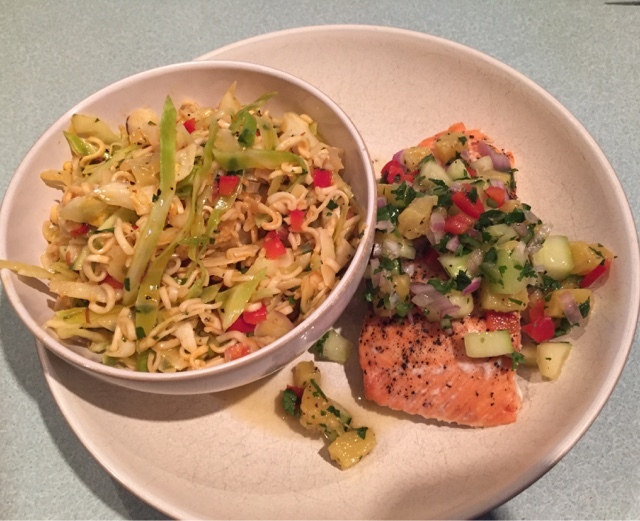 With the weather turning warmer on the west coast, I didn't want something heavy, so I opted for a grilled pineapple and cucumber salsa and an Asian style Cole slaw. The pineapple cucumber salsa I have made before and is a hit in our house. 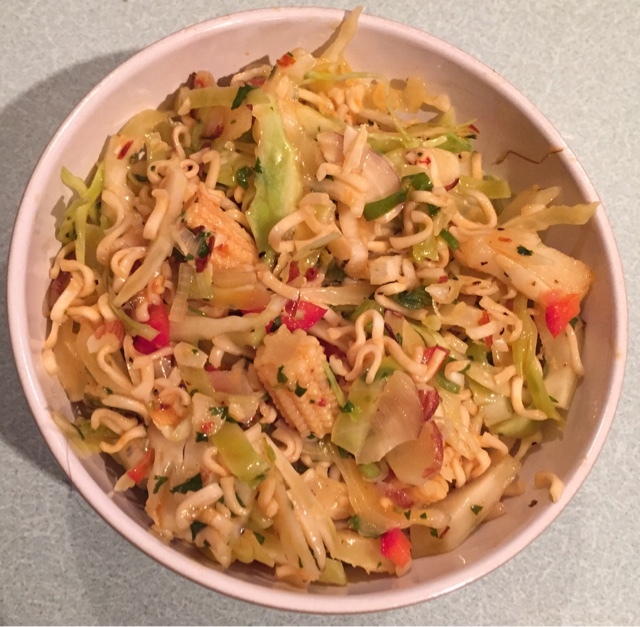 The Asian style Cole slaw is an adaptation of a friends recipe we helped make for her sisters 60th birthday a few years ago. Mix dressing together, set aside. Toss together the cabbage, green onions, almonds, corn, and water chestnuts. Crush the dry ramen noodles on top of salad. Pour dressing and stir to combine. Salad needs to rest 3-4 hours, for the cabbage and noodles to soak up the flavor of the dressing. *Note: you can use any type you like, except red-it bleeds. 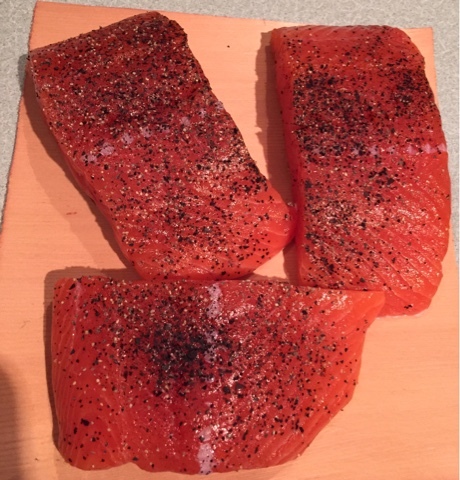 It was also suggested to add shredded chicken and stuff a Pita with this.